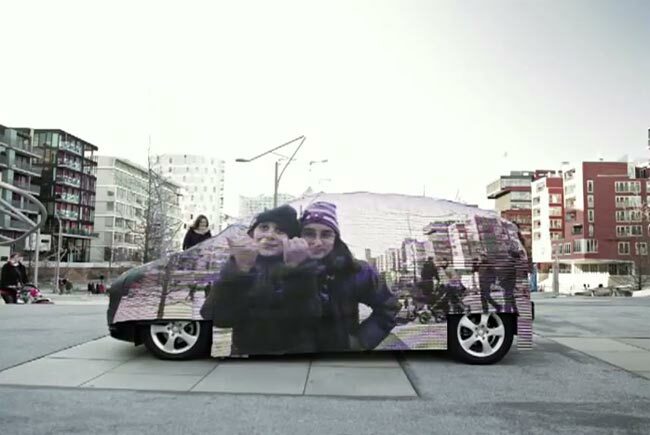 Mercedes Benz has created an invisible car for one of its adverts, using some LEDs and a camera, the invisible car was created to promote Mercedes new F-CELL Hydrogen technology. One one side of the car there is a camera which captures images and then sends them to the LEDs on the other side of the car, showing what you would see if the car wasn’t there have a look at the video of it in action below. The vehicle being driven in the advert runs on Hydrogen using Mercedes new F-Cell technology, and the car has a range of up to 250 miles and has zero emissions. Producing these types of vehicles is still relatively expensive, so it could be a few years before these zero emission cars are available.